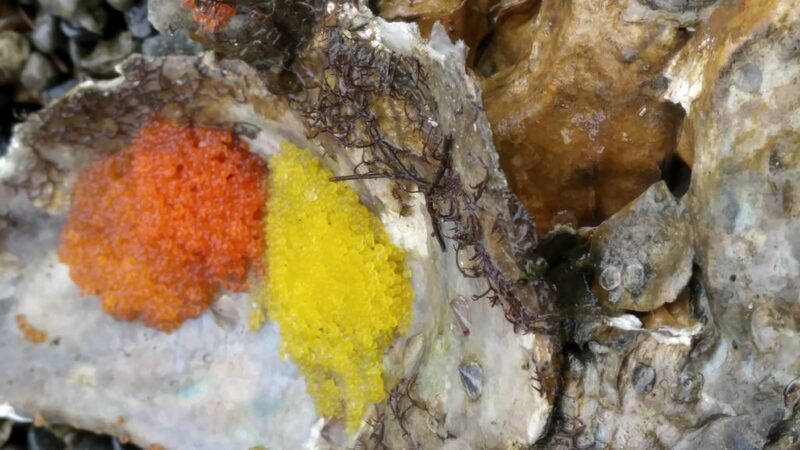 Brett's photo shows Spinyhead Sculpin eggs taking advantage of their cultured oyster shell in Tarboo Bay, WA. Photo taken recently by Seed Crew Supervisor. 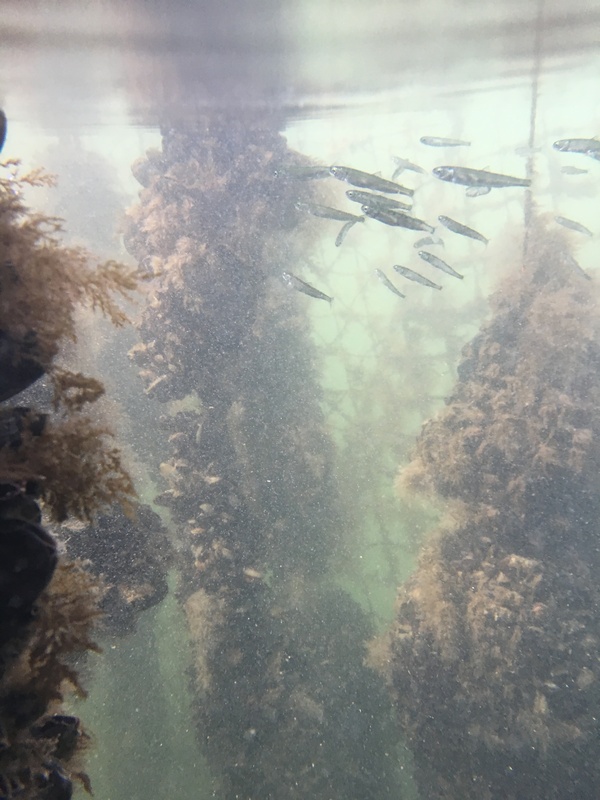 Zach's photo shows juvenile Pink salmon finding protection while foraging food amongst their mussel lines. The mussel lines contain numerous types of zooplankton and marine invertebrates such as amphipods, isopods, and annelid and polychaete worms for the juvenile salmon to dine on as they adjust from their riverine to saltwater environment. 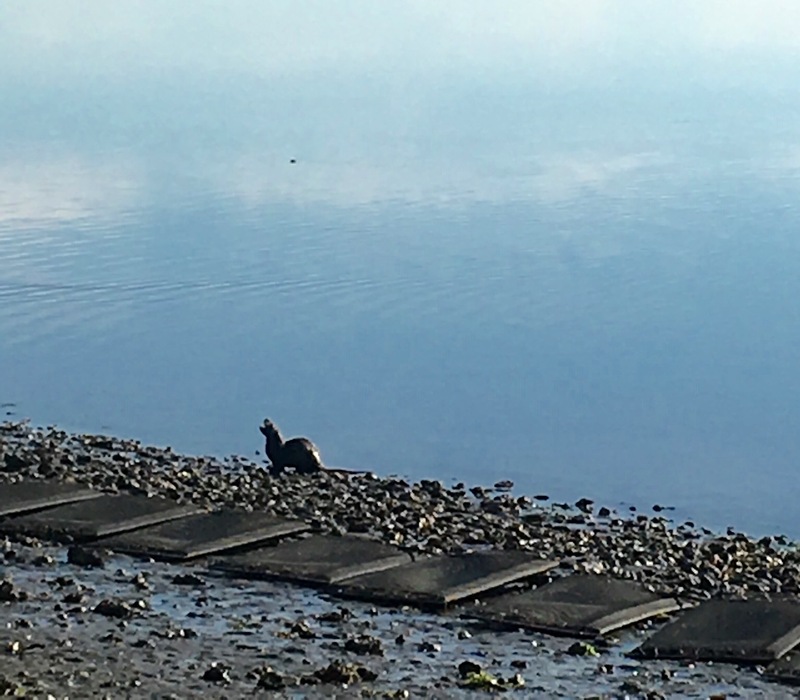 Brad's photo shows a Harbor seal hauled out on one of their mussel rafts in Quilcene Bay, WA. They commonly haul out on the rafts to rest and warm up after feeding. 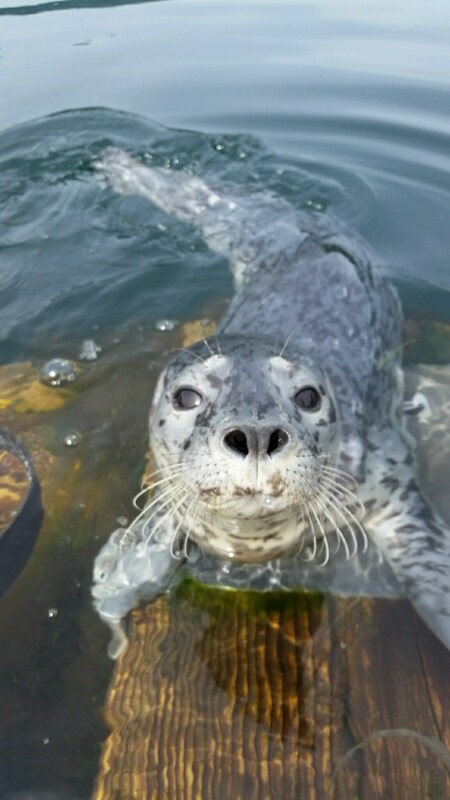 The seals grow accustomed to workers on the rafts and behave similar to a neighborhood dog who will put up with your presence as long as you do not get too close. The mussel rafts provide not only a safe haul out location, but also act as a magnate for food sources such on which the seals like to feed. 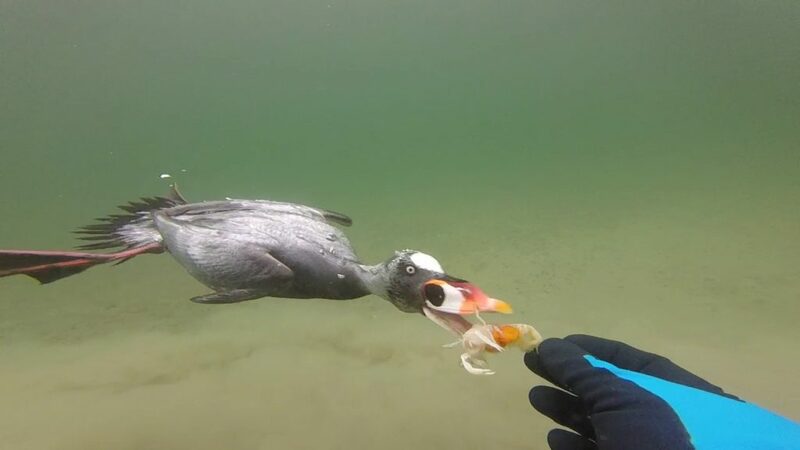 Nyle's photo shows a Scoter duck eating Ghost shrimp during a geoduck dive harvest. Harvesting the geoducks loosened the sand just enough to allow the ducks to easily pluck the shrimp out of the ground. The ducks were not at all scared of their diver and even at one point, a duck came and grabbed a shrimp out of his hand. Brian's photo was taken of the fauna growing on their live float. 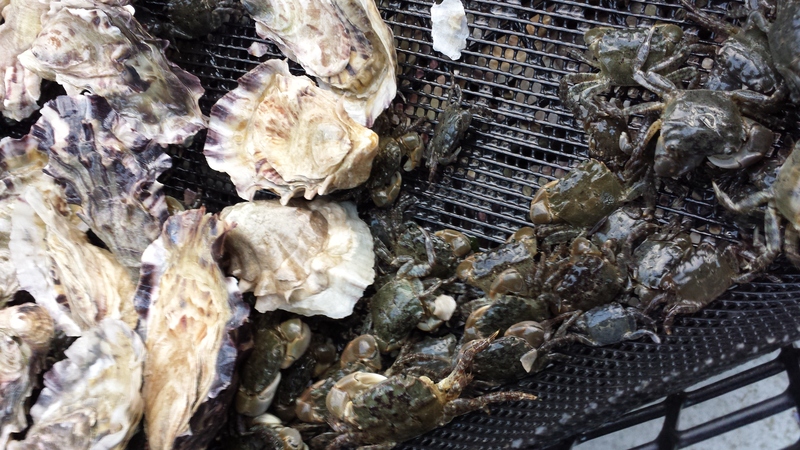 This float serves an array of services for many non-shellfish species for about 9 month per year. The entire submerged portion of the float is covered with the type species shown in the photo. There are no anti fouling materials used in the construction of the float, so it becomes heavily covered every year. Duane was digging clams one morning when he heard a commotion behind him. A family of river otters hangs out close to the house. One of their preferred foods are small graceful crabs, Cancer gracilis. The crabs use the seed bags (foreground) and this year's yearling crop (background) to forage in. In fact the young-of-the-year graceful crabs undergo metamorphosis and settle in the bags with the Pacific seed. As the tide ebbs the crabs move out a bit and the otters' table is set. 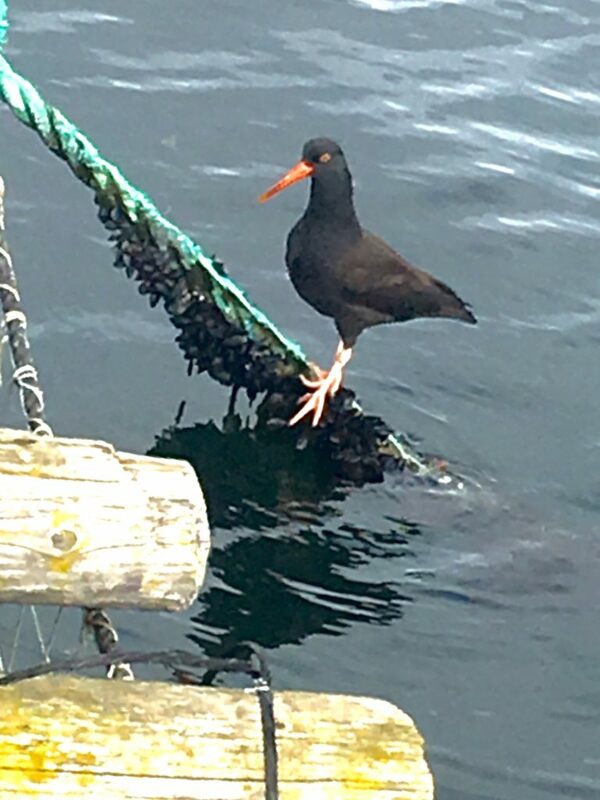 This one hauled out to scarf down one of the larger crabs. Species diversity and inter-dependence in action. 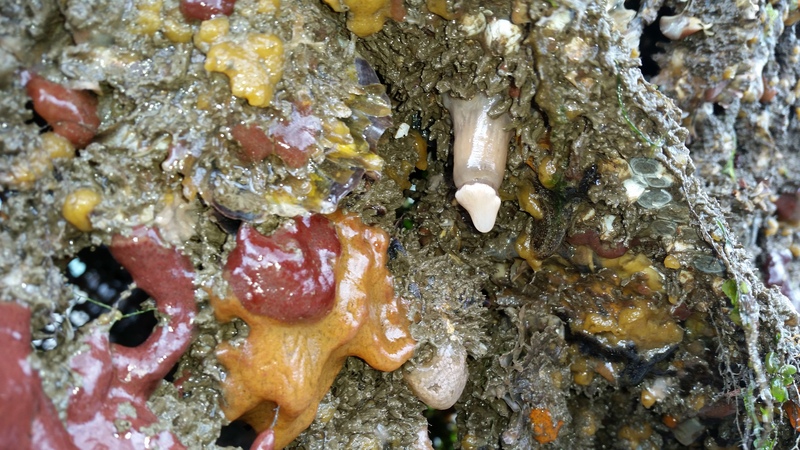 Scott's photo shows natural set Pacific oysters that spawned from one of their patches of diploids. 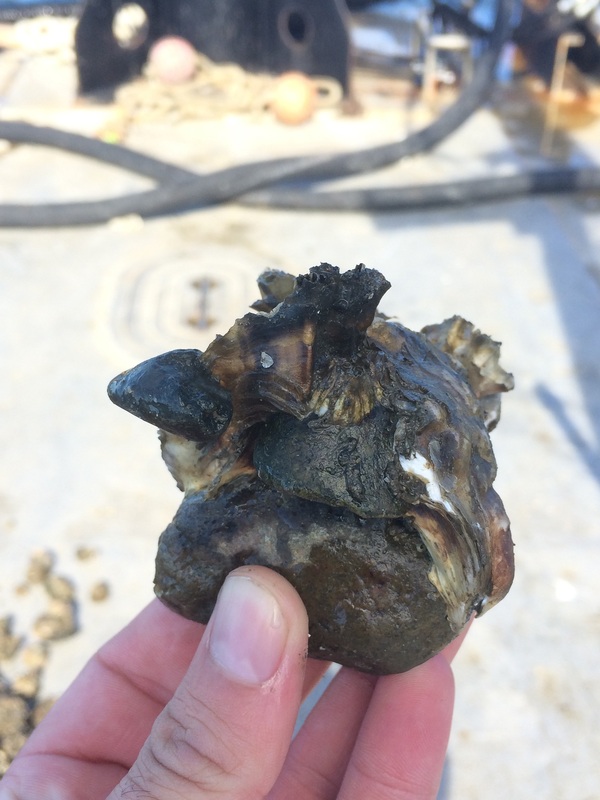 Oysters attach themselves to rocks, shells, or whatever stationary object they land on. As filter feeders, they play a crucial role in cleaning the body of water they grow in. The more oysters there are, the more filter feeding takes place, the cleaner the water is. Lisa's photo shows a very large school of young Perch seeking food from the crew sorting oysters and refuge from predators under their dock in Tarboo Bay, North Dabob, WA. 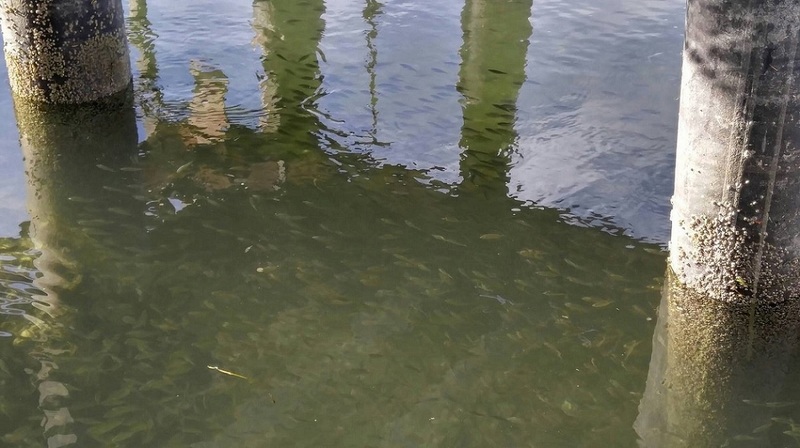 She says that at times, there were so many you could barely see the bottom under the dock. Zach getting ready to release a young octopus which rode a mussel line up the harvest conveyor. 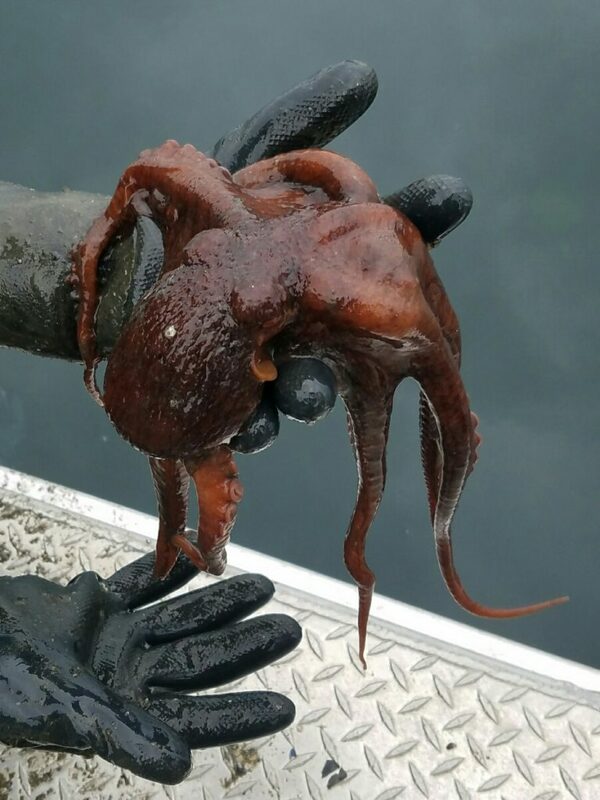 Octopus like the abundance and variety of food such as shrimp and small crabs which live amongst the mussel lines. The suspended lines of a mussel raft are similar to a small forest in that they provide a place for many species to call home or to find food or safety.